The Trials and Tribulations of Operating a Personal Weather Station | Watts Up With That? I wish I had read Anthony’s excellent article “Thinking of buying a weather station for Christmas? Read this first.” published late last year. Then again, I bought my cheap Chinese weather station a good 6 months before it was published so I was kind of fishing around in the dark on my own. My home is completely off-grid, but I do have the comforts of home including (albeit slow) Internet via 3G. Netflix and Satellite TV provide the evening’s entertainment when it’s just too wet and wild to be outdoors. Power is solar with gasoline back-up, so a 12v supply is pretty plentiful. In addition I run my 5v devices through a 20 amp Buck converter so all my handy little modern appliances are kept fully charged. 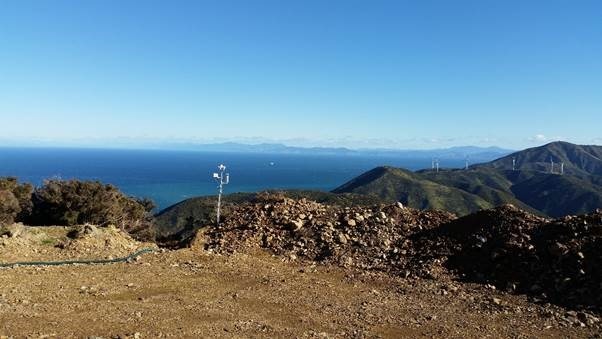 Anyhow, at an elevation of 400 metres (1300’) above sea level on a cliff looking south over New Zealand’s Cook Strait, I do get battered pretty frequently by strong southerly winds blowing directly from the Antarctic. These are regularly reported in the media as being over 160Kph (100Mph). But are they really? So, being curious about such things, I looked around and found a reasonably priced (I thought) unit that seemed to offer everything I needed. 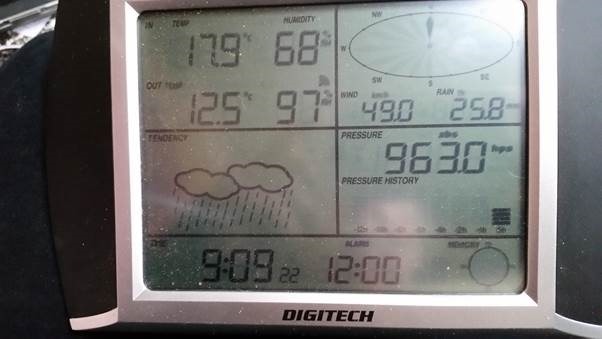 It measured rain, wind (speed and direction), humidity and both internal and external temperatures. An outdoor unit was solar powered, with an indoor base powered by either batteries or 5v micro USB. The USB also allowed data to be downloaded to a PC. Seemed ideal – at the time. Branded as DIGITECH in New Zealand, it turns out that this is actually a “Fine Offset WH1080”. Made in China, but at least carrying a warranty from a reputable high-street supplier. ….and it came bundled with software called “EasyWeather” – which seemed to work reasonably well but it did have its drawbacks as I will describe later. On a nice calm day, the view from my door across the Cook Strait to New Zealand’s South Island is truly magnificent. However, given the winds that can arrive here, the WH1080 just wasn’t up to the job. In total, I have had 2 units replaced under warranty due to wind breakages and 2 units replaced due to failure of the unit itself. Couple that to failure of the included alkaline rechargeable batteries in the outdoor unit, and boy am I glad I bought from a high-street supplier who honoured their warranty rather than import directly from China myself. The final solution just to make it survive, was to dispense with a rather fragile plastic arm that kept breaking and glue the main unit onto the support pole. To date it has survived several storms with winds well up to 100mph and came out unscathed. Downsides to all this, as Anthony’s article would have told me had I read it before embarking on this adventure in technology would have cautioned my against these cheap Chinese units. But heh, I’ve come so far already so not time yet to abandon the project! Number one for me was sheer power consumption. For most this isn’t going to be a real issue, but for me living off-grid and relying on solar panels, running a PC 24×7 is just not on. I needed a better way. Two, the rain gauge is far from accurate. Last week apparently I had 5½ metres of rain overnight!!!! A slight exaggeration it seems. But the other gauges seem reasonable. Temperatures, wind and direction agree reasonably closely with regional expectations. Not sure about humidity and dew point but not something I’m geared up to measure any other way. Once the bug actually bites, a quick search reveals all sorts of places that weather enthusiasts come together to share their data and help contribute towards a global set of amateur weather stations. The bundled EasyWeather software already had support built in for WeatherUnderground, WeatherBug and WeatherCloud. And this is where I started. As I said earlier though, running a PC 24×7 is just not an option for me, so I was only able to update WeatherUnderground in the morning and evening when my PC is turned on. The rest of the day it lies idle just to save on power so the data at WeatherUnderground was stale most of the time. The nice thing about WEEWX is that not only does it upload to many weather services in addition to WeatherUnderground, it also generates a website that can be viewed via Apache, Nginx etc. Unfortunately I don’t have an external IP with my 3G internet service, so cannot directly access the web interface remotely. However, I do have access to a remote web server and every 5 minutes as the data is updated at WeatherUnderground, a script also FTP’s the whole WEEWX website across to a public web server. This is at http://weather.andic.co.nz – note the timestamp is in Pacific/Auckland time. As time permits, I might get around to changing things, but the standard WEEWX layout is pretty comprehensive – at least for now. One day I might progress to bigger and better things, and certainly heed Anthony’s warnings, but for now things are stable – if it ain’t busted, don’t fix it ! Should you decide to head in this direction and set up your own personal weather station, don’t do as I did – read Anthony’s article first! February 6, 2018 in Weather_stations. I’ve had a Davis Vantage Pro2 weather station for over ten years with no issues. Actually the anemometer is starting to crap out, but I would say I got my money’s worth. Without fail, the “official” low temperatures are an average of 2° F higher than my recorded low temps over the time period of about three years that I have been back in Southeast Louisiana. Your average recording of 2° F below the “official” low temperatures are probably a very good estimate of the ‘adjustments’ made by the Warmistas in the ‘official’ bureau recordings. We observe a similar 1.5° C recorded below both low and high temps here in Sydney NSW Australia. I’ve been keeping my personal weather record here in Mechanicsville, VA, about 12 miles from RIC, Richmond International Airport, since July of 2013. I am absent from here for perhaps 5 to 10 days a year, so I have fairly continuous data. I have thermometers at three locations outside the house, and I’ve been able to figure out how much each varies from the “actual” temperature. For the 4.5 years since I began this procedure, I can safely say that the average temperature is about 2 degrees F below that at the airport; since Mechanicsville itself has nearly 40,000 population, I suspect there is a detectable UHI here as well as in Richmond, though I live at the southeast edge of the built-up area, within sight of open country. There have been days when the low temp here was substantially lower than at the airport; I started my record soon after the morning low at RIC was 49, and here it was 30–a 19-degree difference that I have never seen since. I noted at the time, though, that a thin skin of ice had appeared in a water bucket, so the 30 degrees was quite believable. A very few days have temps above RIC. I have been comparing temps here to the long-term average for each day at RIC; according to me, both December 2017 and January 2018 were about five degrees below the long-term average for the month, and the first week of February is starting out the same way. I could use a little “global warming” about now; it’s been impossible to work outside (I garden) because of frozen ground, snow, and biting wind. Are the official temps from an airport? We did read Anthony’s article and ended up with a Davis Vue. I think we still need time to use it to full advantage and probably need to move it as it hardly records wind. That’s a lot to do with low level trees (planted for wind protection, of course!). There can be a lot of wind in the tops of nearby river red gums but not felt lower down. Finding just the right spot isn’t easy. We are very impressed with the build quality of the equipment and looking forward to getting it better set up. I have a digitech unit, similar in design but doesn’t measure wind direction. 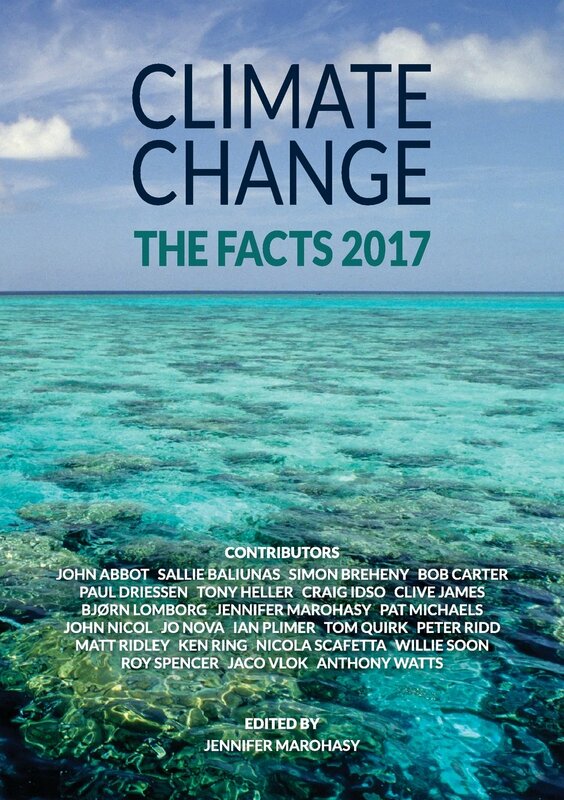 In our climate- inland Australia- the maximum temperature goes ridiculously high. Typically it measures about 3- 5C above the actual temp. I’ve tried several locations and have shaded the sensor with various arrangements of shade cloth to no avail. It seems a bit of a design fail to have the solar panel directly above the thermometer housing. If anyone has a way of solving this, I would like to hear it! I too am using weeWX (weewx.com) but with an Ambient Weather WS-1002-WIFI OBSERVER. The unit is wireless to the sensors and WIFI to your home network, and talks directly to the WeatherUnderground, no computer connection required. If you want to use weeWX with a Raspberry Pi as a weather server, a third party driver is required for the WS-1002, available on github. For the most part, it performs very well. Occasionally weewx just stops, I haven’t yet discovered the cause, as it is very infrequent. Right now, my weeWX server has been up 9 days. A simple reboot of the RPi gets it going again if it stops. Your reports to Weather Underground are handled directly by the WIFI Observer, so the RPi hiccupping does not interrupt the WU’s data update. A ~$25 Raspberry Pi Zero W(ireless) seems more than adequate for the computer. 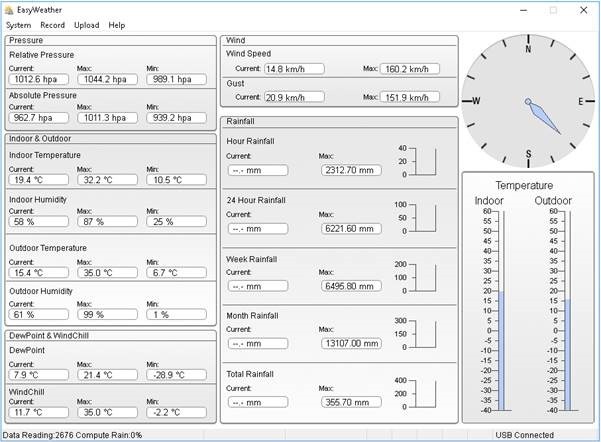 The weewx software supports many popular weather stations. It also will upload to other popular weather sites including PWSweather.com, CWOP, WOW, and AWEKAS and for ham radio operators, APRS.fi. Take a look at my APRS data at https://aprs.fi/#!call=a%2FW4OA-1&timerange=3600&tail=3600. weeWX is free, very mature, and well supported. The drivers for supported weather stations are also free. I have no cat in the hat, just very pleased with Ambient Weather’s customer service and the FREE super software weeWX. Strong winds can knock out even good units. About 1987 a line of thunderstorms moving at 110 kmh hit and knocked out an anemometer (Gov installed). The speed showed 147 kmh at breakdown. My front room picture window and an outdoor indoor thermometer are my weather station. The foothills are about 4 miles away and the peaks about 35 miles so we can see what’s coming and when it’s going to get here pretty well, except at night. The peaks are 13,300 ft and the foothills about 6,500 ft and we’re at 5000 ft. If you can’t see the foothills, it’s snowing pretty hard and will be here soon. If you can’t see the peaks, it’s snowing an indeterminate amount and will be here in an indeterminate amount of time, usually. If you can’t see the pasture in front of the foothills, it’s snowing and will be here very shortly. This is all, of course, unless it’s foggy. When the snow gets here we can tell by the slant of it’s fall how windy it is until it hits completely horizontal but then the front door will whistle at about 25 to 30 mph and the pitch tells us the actual velocity up to about 50 mph, then over 50 mph the overall racket somewhat interferes with proper determination of actual velocity but it hasn’t got over 71 or 72 mph very often in the last 20+ years we’ve been here. We don’t worry about humidity much as there isn’t much in this high desert and when there is, along with wind speeds which exceed temperatures, we can tell right away if we just stick our nose out the door. Plus, when it’s really going to get ugly all the deer and antelope hunker down in the irrigation ditch well in advance and the hawks and eagles disappear from the sky. At night, if the great horned owls are hooting its usually pretty nice out and mating season. When it rains we can hear it on the roof or up against the windows, but that’s not that often. So, who needs a weather station? If the rock is wet, it’s raining. If the rock is swinging, the wind is blowing. If the rock casts a shadow, the sun is shining. If the rock does not cast a shadow and is not wet, the sky is cloudy. If the rock is difficult to see, it is foggy. If the rock is white, it is snowing. If the rock is coated with ice, there is a frost. If the ice is thick, it’s a heavy frost. If the rock is bouncing, there is an earthquake. If the rock is under water, there is a flood. If the rock is warm, it is sunny. If the rock is missing, there was a tornado. If the rock is wet and swinging violently, there is a hurricane. If the rock can be felt but not seen, it is night time. If the rock has white splats on it, watch out for birds. Have you been to Wellington, NZ? The “sock” is blown away! Andi’s rain gauge is sensitive to shaking. It should be mounted on something firm. I have run a similar weather station for 7 years at WU IONKINGS2, a Thermor 265NC. One worn out anemometer and two failed temperature units. I have similar looking sensors which are hooked together by phone wire. Using phone extension cords expands mounting options. I have similar terrain, a 30 m bluff overlooking Lake Erie and lots of wind. Wind sensors are mounted similarly but the rain gauge is on a short sturdy 4×4. Temperature unit is located in a natural screen, with wind and rain sensors wired into it via two buried 15 m phone extension cords between the 3 locations. My unit does not have a solar panel. With the high volumes and speeds of wind, the anemometer should be lubricated before wearing out. Just drill a hole in the middle of the cup top dome, drip oil into center along a wire to the bearing, and then silicone closed. Simple. I calibrate my temperature during a wet transition dropping below 32°F/0°C as the anemometer tends to freeze. This is annoying but gives an accurate reference. Have fun with your stations! Is the rain gauge a tipping bucket? If so, I think they are very sensitive to being level, especially to rotation around the tipper’s axis. I haven’t tried measuring that, I just spent a fair amount of time getting my support pole vertical. Also, shaking of the pole in the wind triggers premature tipping. I often see the last fraction of 0.01″ of overnight rain in the morning as the wind picks up. With your high winds, consider adding guy wires despite the short pole. They can help reduce shaking and make it easier to get the mounting pole vertical. I bought a “Brand X” WH1081 weather station online from some Chinese dealer on e-Bay about five years ago. I think it cost me around $100 (Australian). So far, it has performed pretty well, and I have no complaints. The temperature readings were somewhat erratic until I built a housing which shaded it, and shielded it from the direct wind. Now it corresponds pretty closely to my mercury thermometer on the wall about five feet away. Similarly, the rain gauge corresponds pretty closely to the physical gauge I have mounted directly below it on my deck. I don’t know about the wind vane, since I don’t have a backup to compare it to. But given that the temperature and rain readings seem pretty good, I assume the wind gauge is also. So the bottom line seems to be: sometimes we get lucky. In the second panorama photo, do I spot a clutch of Satan’s bird-mincers in the distance? They get everywhere. Wow. That is extremely extreme. A candidate for worldwide media coverage. 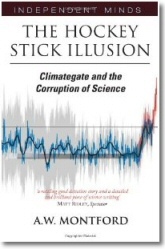 Perhaps you can sell that data point to your government weather bureau so they can use it to adjust everything else. I see I’m living in a dull place. But what I wonder. Mph as miles per hour is okay, but here we measure wind in standard units. km/h is handy when driving a car, but wind is expressed in m/s. 160 km/h is equal to about 45 m/s. Though the roof of my house is well attached to the supporting frame and wooden frame is attached to the concrete base of the of house, I just wonder what would be left standing if we’d got that kind of winds. Has Andi been thinking of windmill or is the solar Joule cheaper when you need to run on a battery anyway? There was a brand of automatic weather stations used in Canada that showed rainfall on clear days when the wind was high, giving readings of several mm. I think those have all been replaced now. I was part of an engineering consulting team that met weekly at our client’s office. One pre-Christmas meeting, our client passed around the year’s client gifts – small clear plastic rain gauges with graduations that a very good eye could read to about 0.05 inch (1 mm). We all took our gifts to our homes, spread out miles from each other. Good fortune smiled and a rain storm passed over the area. We all read our gauges and at the next meeting we reported our readings. They were all different and we humorously told our client that he had given us faulty gauges. Seriously, if we had all reported the same, that would indicate collusion or less likely, our homes were located on an isohyetal or contour of equal rainfall. An inexpensive plastic gauge like the one I described would be a valuable addition to your weather monitor, as a reality check. Andi’s rain gauge is sensitive to shaking. It should be mounted on something firm and level. I have run a similar weather station for 7 years at WU IONKINGS2, a Thermor 265NC. One worn out anemometer and two failed temperature units. I have similar looking sensors which are hooked together by phone wire. Using phone extension cords expands mounting options. I have a Vantage Vue. The original one had a problem stopping working from time to time. Davis sent me some moisture proofing compound to smear around on the circuit board which fixed that. A few years later the rain gauge stopped working (its a “spoon” which tips when full and waves a small magnet over a reed switch, and counts the pulses). The magnet was still attached, and I could hear the reed switch operate, but no rainfall recorded. I called Davis. They asked for the serial number, and said no parts were available for that, it was an early model. They offered me 50% off a refurbished newer one. No, they wouldn’t give me anything off a new one. I took it. Installed it, and the rain gauge worked for about a week … sent it back (at my expense) and they sent a replacement. That one is still working. Not 100% happy with that experience. I looked at connecting it to the Internet. Davis encrypt the signal from the station to prevent people picking it up and decoding it themselves. You have two choices, one is to take the display, add an adapter and connect that to your PC using software which gets ratings in the “pathetic” range. There are third party software products that work and get much better ratings (more money…). If you don’t want to tie up the display, you can buy a stand-alone radio/adapter, but it costs an arm and a leg, and seems to get pretty low marks for reliability, so I haven’t gone down that path. All that said, the Davis stuff is better quality than the cheap Chinese stuff that I have looked at. I, and a lot of other people would be much happier if they would either spend some money on updating their software and reduce the cost of the hardware needed to connect to a PC. Or maybe just remove the DRM/encryption from the signal. Those wind turbines on the distant ridge-line are without a doubt taking energy out of the system and keeping your winds speed down. I’m thinking since you live off the grid, you too should get one of those bird-choppers. I’ve had pretty good luck building a weather station using bits and pieces and instructions from Sparksfun (https://learn.sparkfun.com/tutorials/weather-station-wirelessly-connected-to-wunderground). It’s been running in my backyard for a couple years and other than a few power outages caused by my dogs tripping over my poorly placed power cord, it has worked well. It pushes weather data via a Wi-fi board to my home internet router and then onwards to a free server, that processes and then pushes that data to my Wunderground account. It runs 24/7 and updates every minute. As I recall it cost around $200 to build. What fascinates me is your life “off the grid.” Do you have a bio anywhere? What do you do for a living? PS I’m semi-retired but don’t see myself giving up work completely any time soon! Excellent! I have often fantasized about it myself, and look forward to your post. “Last week apparently I had 5½ metres of rain overnight!!! !” — This is exactly what we should expect — A. Gore. Just wait until they adjust for tobs. A very typical problem of these devices is the rain measurements errors. The shaking if the pole on which the staton is located on high winds makes the tilting cups move and record precipitaton even on clear blie sky. The only way to avoid this is to make sure the pole is firm and cannot shake. for me living off-grid and relying on solar panels, running a PC 24×7 is just not on. I needed a better way. Using a Raspberry Pi could be a “better way”. Andi, not seen you post in a while. You’ve moved to your own block. Still in to Landrovers? I thought about getting off the grid when I lived in Featherston (North of Wellington), but the whole thing was so expensive then (Circa 2000) just was not possible. I am not surprised you are doing this with the crazy green policies of your new PM. BTW, the Raspberry Pi as suggested by Mariano Marini February 7, 2018 at 12:17 am would definitely be worth looking at for a cheap, low power consumption computing option. Andi, very famous surname, Cockcroft. Have you thought about a series of instructions for setting up Pi with all your gear including the Linus version? 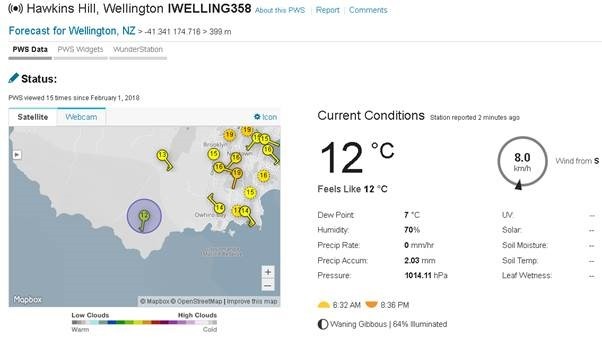 was that the temperature HIGH and LOW reported on Wunderground was quite often higher and almost never lower than what was reported in the WeeWX database stored locally. I definitely have a biased opinion so take the above observation with a salt lick sized pinch. This is the third PWS I have owned over the decades. This one cost me less than replacement cups for the PWS it replaced. The wind vane casts a shadow on the “solar” and “UV sensors daily. The model I have is not likely to fit most peoples needs but it is just what I was looking for. A simple way to test the accuracy of your humidity/dew-point would be using a “wet-bulb/dry-bulb” measurement and a psychrometric chart. I started with a Davis Vantage Vue and now have a wireless VP2 Plus with 24 hour fan aspirated radiation shield. In case some don’t know, this particular station also has UV and solar sensors besides the normal weather sensors that every other weather station has. I highly discourage cheap weather stations, they just aren’t accurate or reliable enough to properly do the job. If I had to recommend a starter station I would do the Vantage Vue again. The software that you use on the station console end is extremely important. You have three communication options with a Davis station console, and they all involve a device called a data-logger. While it does store data for a while, the main purpose is to take the data from the console and send it so that it can be processed. So one end of this data-logger plugs into the console, and the other into a computer or ethernet cable. The two loggers for the computer are serial or USB, the other logger is an IP logger. The IP logger sends data directly to Davis where you have a little webpage to view it. I don’t recommend this method for several reasons. The computer that my Vue was originally attached to was an old Dell tower that had a serial port, while the new VP2+ uses an USB connection. The data you see on the website comes from this text file (also called testtags.php). This file is constantly being updated by the software and uploaded to the website where an AJAX script running on the page periodically re-reads the data and refreshes automatically without having to refresh the page. This feature is not unique to WD as there are other software packages (Virtual Weather Station or VWS, Cumulus, and the aforementioned Weatherlink that can also generate a file to upload for other versions of the AJAX script to process. Before you buy a station, go to http://www.wxforum.net/ There you will find the most knowledge about personal weather stations, software, scripts, and on and on. It’s a REALLY great resource. The other site is the personal site of the guy that runs WXForum. Here you’ll find templates, scripts etc. This also where the AJAX scripts are located, and all of this is free. If you’re just getting started and think you would like to have a weather website to display your data, Ken’s templates are the most well thought out and comprehensive you’ll find. I have another site that I send my data to in addition to my DaculaWeather.com site, and it uses the template if you’d like to see it. I’m also installing weather stations at two schools and they will both use the template for their website. Neither one has live weather station data right now but the other sections are all functional. 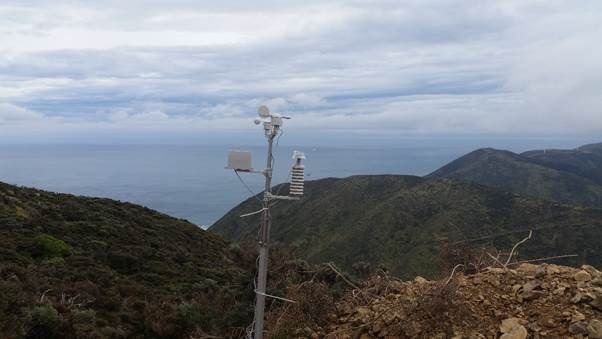 These two stations also have 4 soil moisture and temperature sensors buried in the ground, and that is also a Davis setup and the other nice thing about the Davis equipment, with the higher end stations you can add all types of things to them. I have a story from my distant past which relates to Andi’s general location. Around about 1959 Wellington’s airport at Rongotai was completely rebuilt. The works included a radar installation at the top of the nearby Hawkins Hill. If I remember correctly the specification included the ability to operate in winds up to 100mph and to be able to withstand gusts to 140mph. The later suspicion is that the successful tenderer took this part of the specification with a considerable grain of salt. Once the radar was installed, it wasn’t long before the rotating antennae started to give trouble. Structural members in antennae frame started to crack and the gears in the driving mechanism were wearing at an unexpectedly high rate. After several bouts of repairs and rebuilds in the first year, the manufacturer eventually sent out a representative to find out what was going on. He wanted to see the antennae in operation and it so happened that on that day it was blowing a good southerly gale. The locals cautioned him about going up to the antennae in that weather but, the representative was adamant, that day would be ideal to see the antennae operating in severe conditions. So they drove him up Hawkins Hill. Near the top the driver stopped and parked in the shelter of an embankment in the hill side where although the car was sheltered it was rocking and swaying in the wind. “I’m not going any further” he said. The representative unlatched the door of the car to get out. It was immediately snatched out of his hands by the wind and half ripped off the side of the car. This gave the representative cause for thought but he had gone too far to turn back. He got out of the car and struggled towards the corner of the embankment. After only a few steps he was reduced to crawling on his hands and knees. He got to the end of the embankment and peered around to see the antennae about 80 metres away. That was as close as he got. Some months later the airport installed a completely new and beefed up antennae. I had a similar, if not identical, unit as yours until the inside display failed. We had a small earth tremor here in South Australia a few years ago while my system was working and it recorded over 60 inches of rain. Not the most reliable of systems and with yours being installed in the ‘shaky isles’ you may record a lot of rain that does not actually exist. Hi Patrick. If you read the article you’ll see I am using a Pi nowadays – that’s why I’m also running WEEWX. PS yes still Land Rovers! Yeah, I read your article after posting and had a “D’oh!” moment. Looking forward to your off-grid post. I’ve been running two weather stations based on Campbell Scientific gear for several years now. One thing about the pro gear, it is bulletproof. One station at Havre, MT survived a brutal microburst with wind speeds over 100MPH even though the winds literally ripped the roofs off nearby buildings. However we did lose connectivity since the power went down for several days. 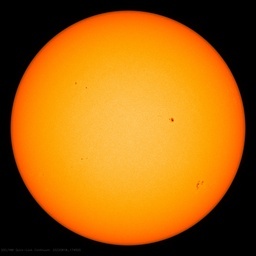 We lost a couple of days of data because the battery ran down and it was cloudy enough so that the solar cell wasn’t able to keep it charged (normally the station is powered from AC supplied from the grid). Once power came back up everything worked. The other station is just south of town here and runs “off the grid”. Lots of problems with that here in the winter due to extremely cold temperatures and long periods of cloudiness. If you live in LA, you could probably get away with it. Not in Montana. One thing I have found is that the rain gauge on the second station gives incorrect readings after being in icy conditions. The rain gauge on the first station is a self-heated model which always gives sensible readings. I have not had the “pleasure”” of a Montana assignment, but I did notice that there were two complete aisles of “weather-indoor/outdoor-thermometers-rain gauges and remote car starters in EVERY little hardware store in EVERY little town outside Bismark ND last May. So, for a much more pleasant middle-south Appalachian-Piedmont climate, what is the recommended outside station? Again, I highly recommend any of the Davis stations for your area. I’m in a suburb just NE of Atlanta and our weather (even in the mountains) is not an issue for the Davis equipment. Again, if you want to share your data or upload it to your own website, be careful about which one you pick, not all have that capability. Thank you for the courtesy of your reply, your recommendation. 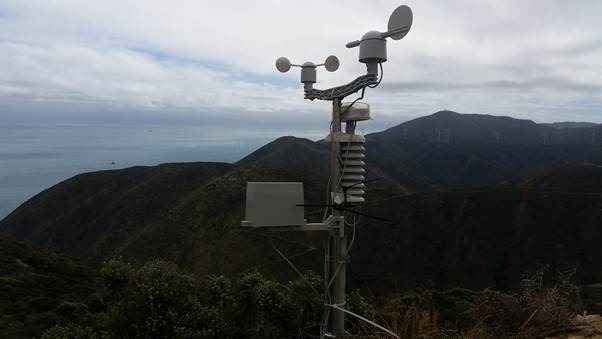 Another nice feature of the higher end Davis stations is that the anemometer can be detached from the station so it can be mounted at a height closer to ideal, and that can be done wired or wireless. When I move in a year or two, my new location will have the anemometer at 10 meters while the rest of the station sits at 5 feet. I’ve bought three Davis #6163 stations from these people and their prices seem to be as good as anyone’s. I have also purchased the #6332 wireless anemometer for the 2 school stations as well as the #6345CS soil temp and moisture station that includes 4 temp and 4 moisture sensors. Now that was funny! WRT the WH1080 plus the WEEWX thing did it come COD, FEDEX, UPS, USPS, or DHS? http://highcliffareaweather.com/ – davis vantage pro2 I’ve had since 2005 I think. 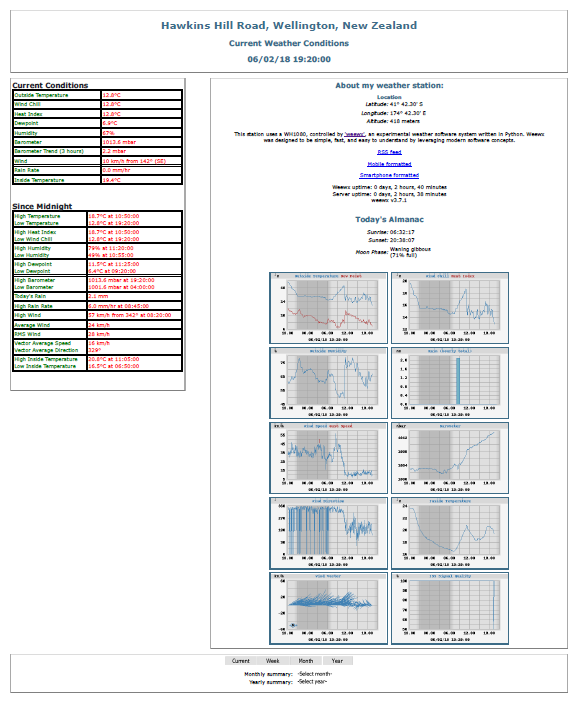 Just updated it with a php weather34 web page with the help of a friend. I had a Vantage, not sure Vue or Pro, when I lived in Seattle, and liked it. I have moved to the countryside on the east side of the Cascades, where the climate is somewhat harsher. I’m going to get a VP2, and the various testimonials lead me to think climate where I am won’t be a problem at all. But I have a couple of simple stupid questions that I hope anyone can answer. My house has a steel roof. I plan to mount the unit up there, about 30 feet or so off the ground on a mounting pole attached to the chimney and protruding a couple feet above it. 1. The house has a steel roof. Will this interfere with the wireless transmissions? 2. Are there any advantages to a cabled unit? 3. Just to be sure, is the integrated collector unit solar powered? Am I going to need to climb way up there at any point? 4. Is there any advantage to paying the extra money to be able to mount the anemometer separately from the main unit? Thanks very much in advance. Anthony, I will purchase this through your company. Something occurred to me with respect to my question #4. If I mounted the main unit much lower, for accessibility’s sake, with the anemometer way up high, I’d eliminate any potential problems from heat coming out of the chimney or bouncing off the metal roof in summer, while preserving the height advantage of putting the anemometer up high. Do your best to not mount the temperature sensor near the roof. You will end up with artificially high readings, especially when the sun is shining. Being able to detach the anemometer is a big plus and allows you to keep the temp/rain/humidity sensor where it needs to be.. I would go wireless. I don’t like having a cable running into my house from outside if I can help it. And yes, the integrated senor suite is solar powered. Also, if you get the wireless anemometer kit, it has its own solar panel as well. That’s how the pros do it! Thanks for the discussion. I have 20 acres, so no lack of room for placement. Today I ordered all the stuff (VP2 with 24-hr radiation fan + separate wireless anemometer unit). I will mount the main unit on a tripod about 150 feet from the house, and will put the anemometer on a pole strapped to the chimney and extending upward from it. The data will go onto the Internet. I’m in an optimal spot up here at 1,800 feet. LOL! I was just telling my wife that many PWS owners have better sited stations than some of the “official” stations. For accurate data I can’t overemphasize the importance of location. Most people send their data to CWOP and it goes through a quality control check to make sure that what you send is valid data. I would think that anyone with a weather station, and most certainly anyone here, understands the importance of “good” data. I also understand that everyone has limitations about where to install a station, and in those cases you just have to do the best you can, but just know that from and CWOP and MADIS point of view, it may not pass their checks. Here’s a way to retrieve the data directly from your wireless weather sensor’s using a RTL-SDR. I’ve never tired this myself so I can’t say if it will work with a personal weather station that’s different from the author’s. I’ll look into it to see if it will work with my Oregon Scientific WMR968. I have fine offset. Its OK. I had to move the rain gauge down the pole as it shakes and you have get phantom rain readings. Weewx is good. I wish it could change the reporting time from midnight to 9 a.m just like here in Oz. My station is here. http://weather.ubeaut.work/ it is on weather underground and WOW met office in UK as well. I have written a script to fix up the wrong rain readings as it happens every so often. The script resets the wrong data in the data base. I use mysql and not sqlite.